It must have been the weather that tempted me back to the lake last week. That and some free time. Despite the conditions, which were mild before a forecast freeze, I failed yet again. Not even a missed take on the retrieve in any of the three swims I tried. Including the banker swim. I did see a low double caught by the other angler, so I guess I was just putting my baits in the wrong places., As usual. The promised frost began to arrive as I was packing up. 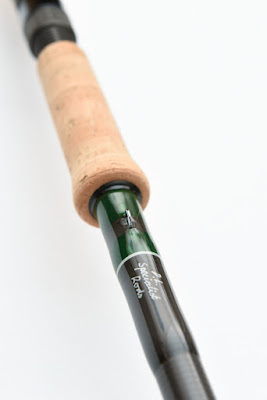 Just a light coating of the sparkly stuff on the rod sling and unhooking mat. 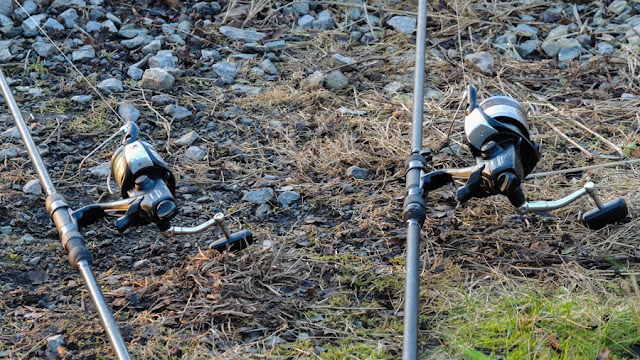 I keep persevering with the 12000OC Baitrunner loaded with mono on one rod. I really don't know why! Side by side with a 6000OC it does look considerably larger. If I was fishing larger stillwaters I think the 12000 might be my pike reel of choice. 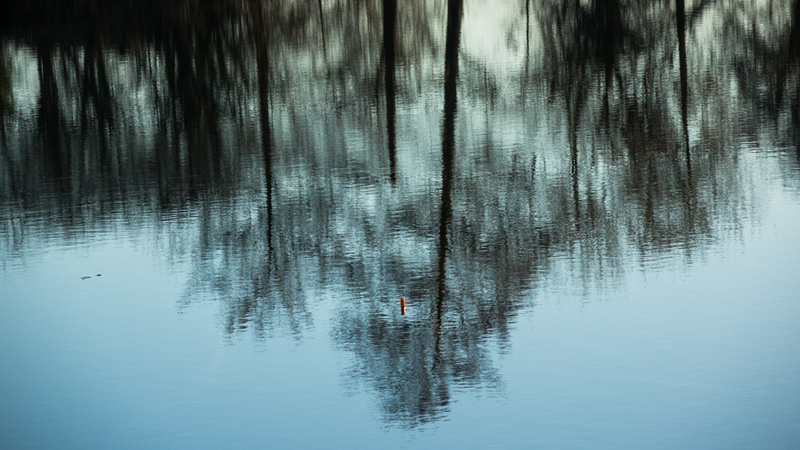 The following day I was out with my camera until late afternoon and decided to drive by the lake on my way home to see if anyone was fishing. The car park was deserted despite it being a dry and sunny day. When I saw the lake I realised why. It had gone solid over night. I'd missed nowt. 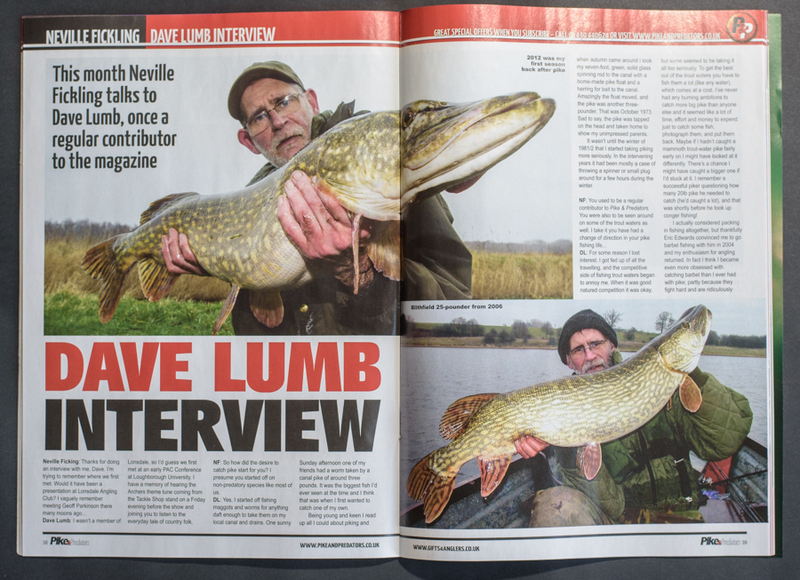 Over the Christmas/New Year holiday Neville Fickling interviewed me for Pike and Predators.I quite enjoyed answering his questions, which were not the usual sort that get asked in fishing interviews. I rambled on about a few 'off topic' subjects. The interview is in the February issue which is out now. My silly side was pleased to get one of my poultry show photographs printed in the mag! Neville wrote a nice 'predatorial' about the history of the PAC as it enters its 40th anniversary year. 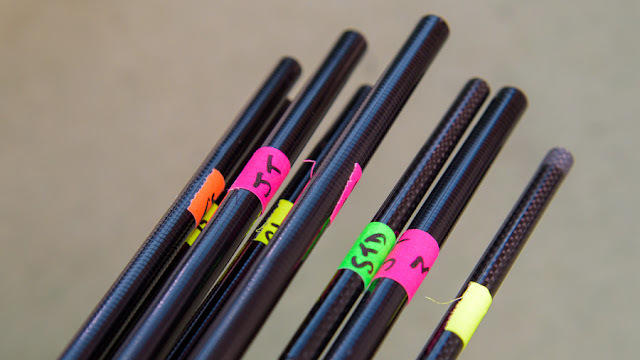 It's quite remarkable to look back at how pike fishing has changed in that time. 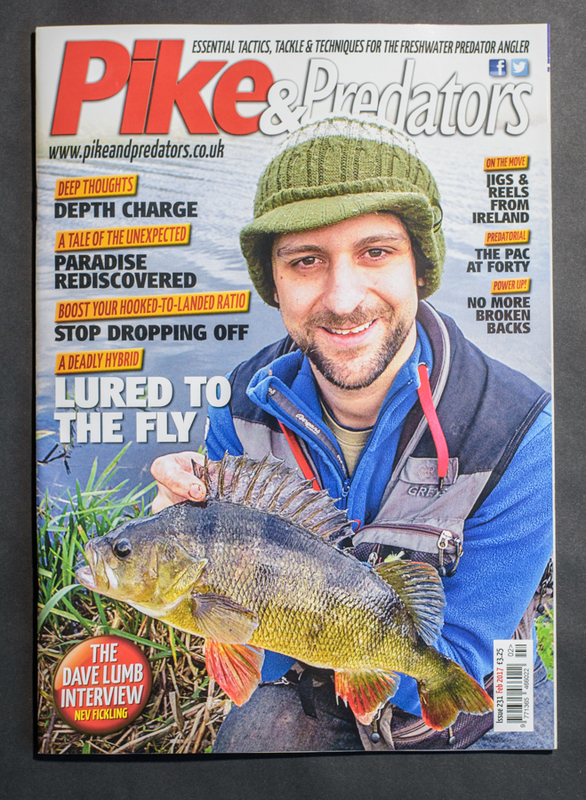 Not so much the methods, which have evolved little, but the attitudes towards pike and the access to fishing where previously pike were treated as vermin. And pretty much all down to the efforts of those who got the Pike Society rolling in the first place and those who continued the work with the PAC phoenix which rose from its ashes. Things are much better now than they were in the 'good old days', but there are still threats to pike stocks which need countering, and I fear there always will be. Which is why any angler pike angler who isn't a PAC member ought to give it strong consideration.